“Isn’t that hot” one child laborer at a silk factory asks another, as they sit in front of a container with boiling water and cocoons in the title story. “It is. But I don’t feel anything,” replies the other. The author goes on to describe the child’s left hand – dark purple blisters below his knuckles and tiny bubbles with fiery rings of red around them. From a tilted pail trickle tender tales of hope and aspiration amidst despair and distress, all in the eternal pursuit of liberation. Embellished with verdant, crisp descriptions such as the one above, this book makes for a delightful read. Author Ajay Vishwanathan’s collection of short stories explore human vulnerabilities, children in particular, of perhaps, a lesser God. With melancholy at its core, Vishwanathan’s collection of seven short stories offer a myriad of themes including an execution in Blanks, children forced to work at a silk factory in From a Tilted Pail, The snake hunter in Snake Walk, “the girl child” in Rinds, a girl with a facial deformity in Auras of Glass, a girl that literally and symbolically longs to let her hair in the wind in The Wind in Your Hair or the Keeper of Lamps who dreams of a better future for her daughter. Vishwanathan’s characters are victims of their humble origins and a society that reserves and denies humanity based on these roots. However, their invincible spirits manage to infuse hope despite the desolation, and that makes them endearing. You want to root for them and trust in their beliefs. A little girl with a facial deformity finds solace with a bangle seller and his daughter who look past her exterior. “Do you think they miss me?” the little one asks when the bangle seller and his daughter go missing and Vishwanathan’s potent narration makes you want them to miss the little girl. He also cleverly utilizes colors in his narrative to portray her aspirations in particular and all his characters in general. Turquoise heals; like a wet patch on cement ground that weakens and shrivels in the face of conquering sunlight, your pains will dissipate. In its place will emerge elation, slowly, like new skin, pressing your mind to forget that there ever was agony. Concise, yet power packed sentences are truly the star attraction of this collection. Given the delicate and sensitive issues the stories deal with, Vishwanathan treats his characters and their situations with tender loving care and is careful never to get carried away with melodrama. Be it the Keeper of Lamps with impactful lines “ I don’t understand power, have never felt it”, or the little girl who rubs orange peels to turn herself into a boy after overhearing the disappointed taunts of her dad, the author’s restraint shines through. Ultimately the triumph of the indomitable human spirit in the face of adversity portrayed in these stories is inspirational. Poignant, profound and perceptive, Vishwanathan’s collection is chicken soup for the soul, simmered to perfection. 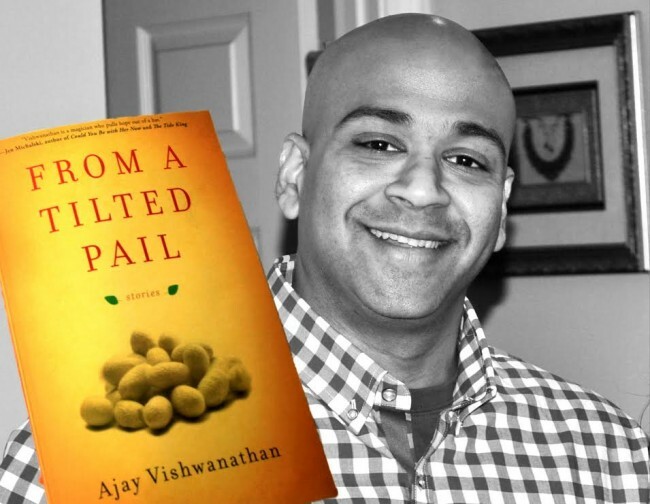 About the Author: Ajay Vishwanathan has work published or forthcoming in over ninety literary journals including The Baltimore Review, Sou’wester, The Minnesota Review, Southern Humanities Review, and Smokelong Quarterly. He is the founding editor of Foundling Review. He has recently finished his debut novel, which is based on “The Keeper of Lamps”, one of the stories in this collection. Visit http://www.ajayvishwanathan.com/ for details.